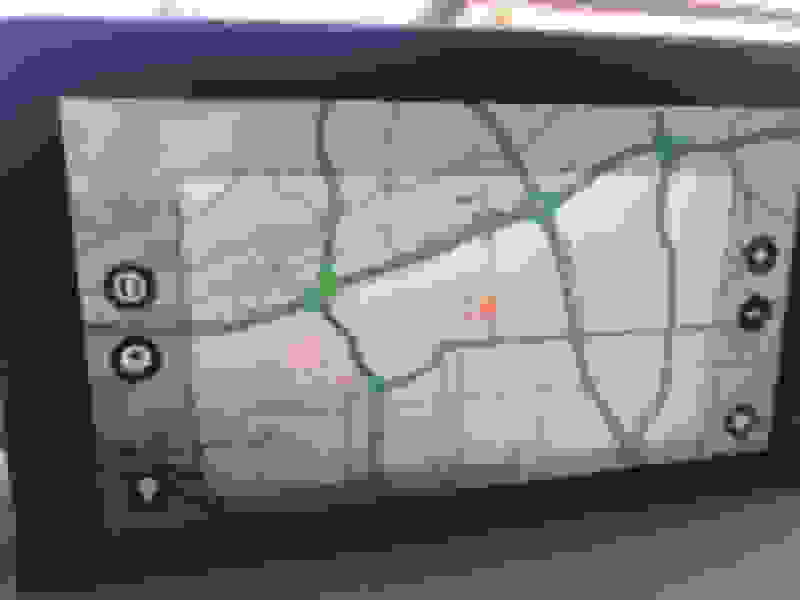 Don’t drive over the border to America for the update. Your folding mirrors might stop working, along with the other goodies you Canadians get because Acura likes you best. What I got mine on Dec 21 in Toronto and still have 1.0.4 running. "No updates available" when checked for updates. What's the manufactured date of yours? I believe mine is in October. my system does not work this way. The pic I posted earlier is not of explore mode, to enter explore mode you have to press that button and it looks like the pic I’ve attached here. If you don’t press the explore button, you can use the zoom buttons and it keeps your location centered and followed. Thanks for that info. Question: Do the zoom buttons work for all orientations, 3D, 2D north up, 2D heading up? Looking forward to the update. I recently drove a loaner MDX Advance with folding side-view mirrors, during the incursion of arctic air from Canada, eh. The mirrors clunked and stopped folding in the cold. While out driving around this morning I got the system updates notification. I'm already on 1.0 .7. I guess I'll have to figure it out when I get home. Just got an email from Acura regarding another OTA update as well, and I already installed 1.0.7. Looks like 1.1.2 came out. Looks like 1.1.2 came out. I just got an email saying a few minutes ago (4pm est) that said a software update is available. Not sure if this true or a tease. The emails does not say what version they are referring to but at the bottom it does say 2019 Acura Reference AT9511-BT9511. I guess ill have to check for a orange signal when I'm in the car to really see. The 12/12/18 update offered fewer than expected changes. Some changes at that time just added to the quirks of the software that came with the RDX I picked up in late August. I got a message to update the system software today and just did so while driving. No issues so far, but I'm not a power user. My system updated to version 1.1.2 today. I purchased my 2019 RDX on July 30, 2018. 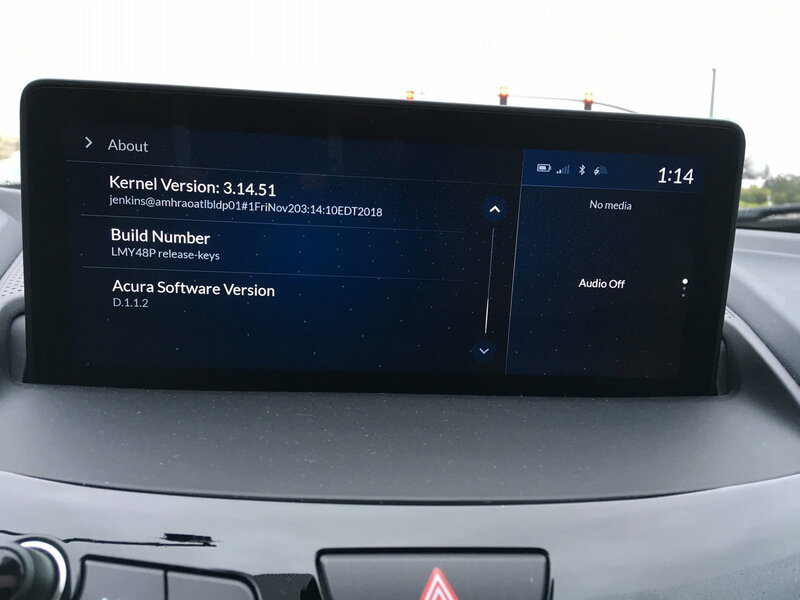 My "About" screen is different than Anoop's and does NOT show the Acura software version number. What is the menu sequence? Home>System>About? Also, where can I find the RDX manufacture date? I looked on the door jamb but didn't see it. My Zoom is upgraded (big improvement, as described in earlier messages) but still no menu choice for Android Auto (anxious for this!). I think that is the correct sequence, but you have to scroll down to get to the version number. Got the D.1.1.2 update as well. Purchased 7/25/18. 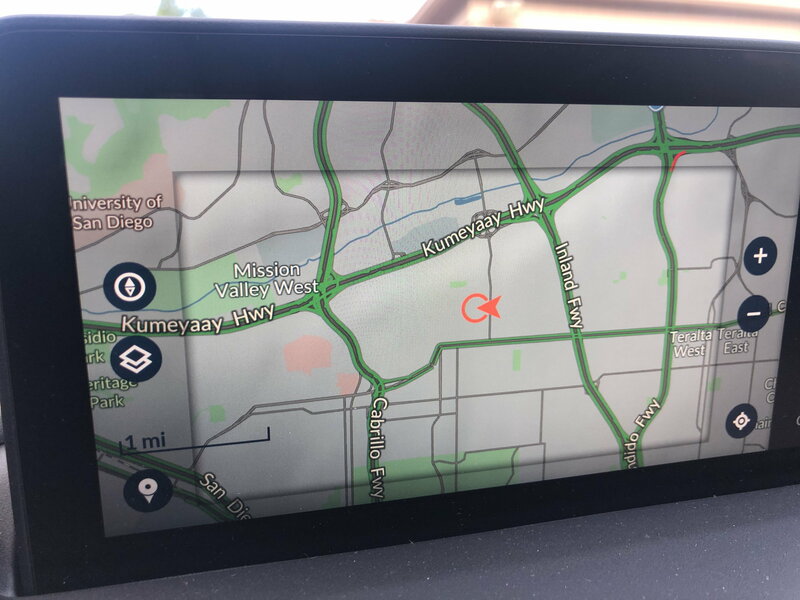 The nav zoom is nice!!! !